“Exquisite.” That word just blew through my mind the minute I put on Opardu by the luxury niche perfume house, Puredistance. An explosion of lilac, purple and white filled my eyes, I moaned a little, and then I sprayed on some more. I barely restrained myself from putting on more than the usual, standard testing amount; I would have bathed in Opardu if it had been possible. It is, quite simply, spectacular. 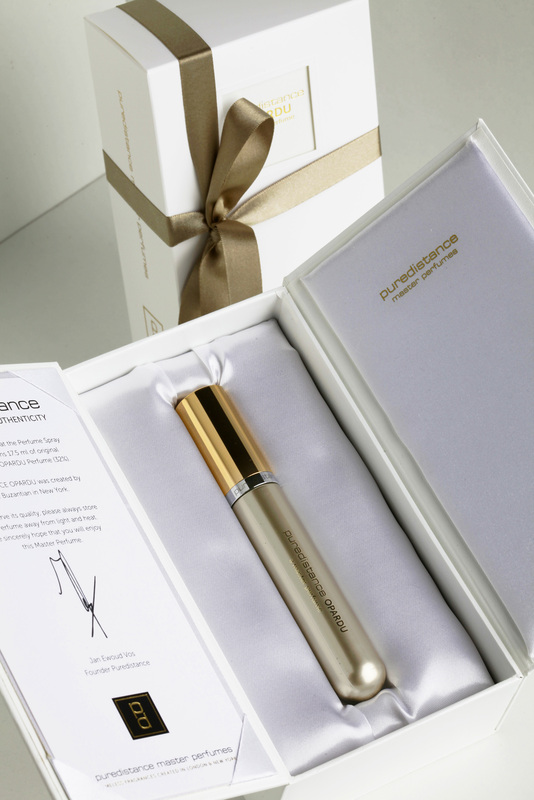 Puredistance is a small brand whose perfumes typify the luxury, elegance, and restrained richness in the best style of classic perfumery. Each of their fragrances is made by a Master Perfumer and is an extrait de parfum blended at a whopping 25-32% concentration from the finest perfume oils. Opardu for Women is no exception. In fact, it tops the numbers at 32% concentration; I can’t think of a single modern perfume that is anywhere close to that degree of pureness. The word OPARDU expresses a deep longing for the bygone days of dreamy opulence and true romance. Puredistance OPARDU has an instant hypnotizing eﬀect that revives memories of love, romance and seduction. Be prepared for a perfume that will bring you back to the velvety nightlife of Paris in earlier days. The Kees Van Dogen bouquet in the middle which served as the inspiration for Opardu. Source: Puredistance website. Central to the ‘feeling’ of OPARDU have been the expressive paintings of Kees van Dongen, in particular one of his illustrations for the book ‘PARFUMS’ by Paul Valéry, published in 1945 in a limited edition of 1000. When Jan Ewoud Vos [the founder of Puredistance] showed this illustration of Kees Van Dongen – a rich and lush bouquet of ﬂowers – to Annie Buzantian, the famous Master Perfumer from New York, she instantly fell in love with it. She also felt this nostalgic feeling for the early years of the last century; the golden age of perfumery. Tuberose absolute, gardenia, Bulgarian rose, purple lilac, carnation, jasmine absolute, heliotrope, cedar wood. 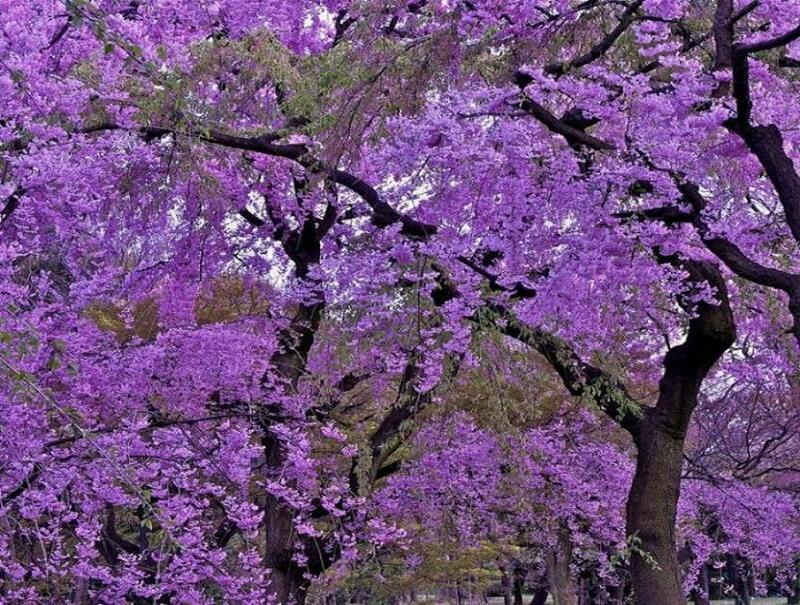 The perfume opens on my skin with a veritable feast of purple. Stunningly beautiful lilacs — something I don’t come across often in perfumery — fill the air with a sweet, heady, but airy aroma. The scent has a delicacy which can only be described as exquisite. 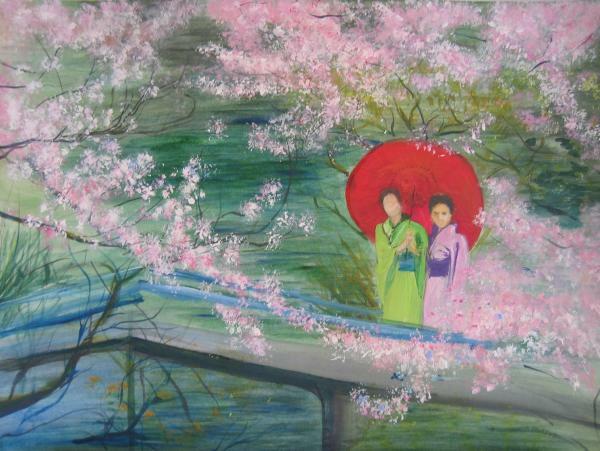 It takes me to Japan, evoking the most willowy, delicate geisha in robes of the richest, embroidered purple silks, the merest whisper of transparent, white gauze at the base of her swan-like neck, the most feminine touch of pale pink on rosebud lips, as she walks daintily in a garden filled with the loveliest of spring blossoms and lush, velvety white flowers. There is wealth and luxury behind the notes, but also a supreme sophistication tied to endless femininity. There is a fragility to the delicacy of Opardu, but this would be misleading. In the opening hour, Opardu is a strong scent that belongs with a woman who is confident enough to flaunt her feminine nature without fears of being seen as a simpering girl. I cannot fully explain why the perfume summons such feelings in me — but it does. This is seriously classique, haute elegance that calls back to the golden age of perfumery. Tuberose and lush gardenia peek out behind the facade of lilacs, but there is also a sense of violets, perhaps something like the richest, most velvety African violets, unfurling their delicate richness in the night air. There is also a lovely sweetness from the jasmine absolute; while it is heady in that first hour, it never smells sour, over-ripe or plastic-y. Like everything else about the perfume, it is rich but restrained, sweet, and endlessly airy. 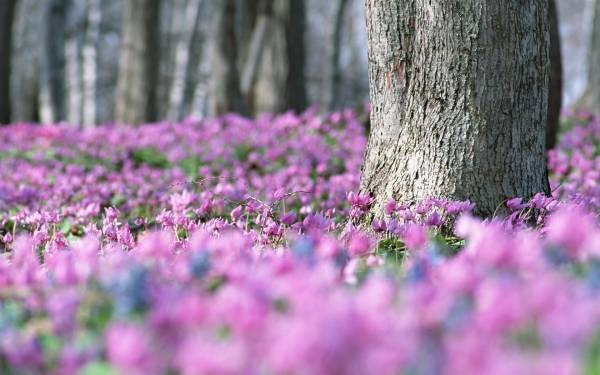 Despite the very Spring-like visuals, the scent calls to mind the richness of night-blooming flowers. And, despite the gauzy, airy feel of delicate femininity, that lushness simultaneously evokes sensuality and an almost feline sensuousness. Opardu should not be judged by the delicate surface. Underneath the robes of that prim, restrained, endlessly dainty geisha is a woman who revels in her body and in her power to seduce. And that power is almost hypnotic. Puredistance wasn’t exaggerating when they described Opardu as having “an instant hypnotizing eﬀect that revives memories of love, romance and seduction.” You cannot stop sniffing your wrist, as you are transported back to more golden, more elegant, more refined times. Perhaps Japan of the geishas, perhaps the elegant capitals of Europe in the 1920s. Whatever it is, Opardu is simply spectacular. As time passes, the notes change a little. At the thirty minute mark, lilacs and gardenia dominate, followed, in order, by tuberose, jasmine and rose. Those of you who are terrified of tuberose or jasmine should not worry; this is not an indolic perfume by any means. It is definitely not Fracas! Later, midway during the second hour, the perfume transforms into a very woody scent of slightly peppery cedar, conjoined with lilacs and a light musk. By the fourth hour and until the end, Opardu returns to its purple roots with soft lilac and violet overtones over a base of heliotrope. The latter has a scent between vanilla or almonds with a slightly powdery element. 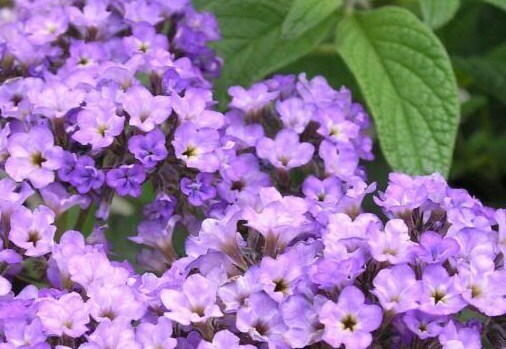 According to Fragrantica, heliotrope has been “proven to induce feelings of relaxation and comfort” — and I think it is definitely true here. I love Opardu, but it is not perfect. I was enormously disappointed in the sillage which is so soft and low that Opardu was essentially a skin scent on me after the first hour. (And I sprayed on a good 3 sprays from the little sample that I had!) Even during that opening hour, it hovered maybe three inches above the skin. Afterwards, I had to bring my nose right to the skin to smell the fragrance. By the fourth hour, I actually thought it was close to gone, but Opardu has surprising persistence. Again and again, I thought it had vanished, only to be surprised when, later, I detected a sudden, noticeable patch of lilac. My notepad is covered with times and scribbles of “gone,” only to be scratched out with later times and “it’s still there!” The perfume seems to perform some sort of ghostly vanishing act, disappearing, reappearing, and so on. And all of this occurred on both occasions when I tested Opardu. I always make it very clear that I have perfume-consuming skin and endless problems with longevity, but I do not usually have problems with projection. I found it especially frustrating in the case of Opardu because it is simply one of the best florals that I have come across in years. I cannot emphasize enough just how exquisite it is in that opening hour. The word “beautiful” does not do it any justice, and even “exquisite” may not be enough. I wasn’t as hugely enamoured by the rest of the perfume’s development which was lovely, but which didn’t reach the heights of that spectacular opening with its unbelievably delicate beauty, underlying lushness and enormous sophistication. Don’t mistake my meaning — Opardu is beautiful through and through, but that opening hour positively gave me whiplash in terms of just how magnificent it was. I was hypnotized, entranced, almost moaning out loud, and kept smelling my arm like someone under a spell. Thereafter, it was very pretty, but it wasn’t exquisite. I have to wonder how much the incredibly restrained sillage contributed to that feeling. Perhaps if that lilac-white flowers combination had remained as strong throughout the perfume’s development, the spell would have remained. As it was, the lightly peppered cedar and musk phase was pleasant, and the return of the lilacs at the very end made me very happy, but it was all a little too sheer and microscopic for my personal tastes. 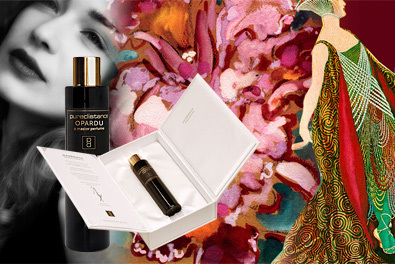 Opardu is very beautiful as the mature ultra femme superfloral that it is. Would be lovely to the opera or an event where dressing up fine is the standard. Lilacs in the front; tuberose in the back (nice combo) The drydown is much less floral; woodsy which makes the later part of the scent (four hours in) much more laid back and well suited for regular life. If i had the right lifestyle i would definitely wear this. Oh to be a madcap heiress, sliding through the crowd in a bias–cut satin gown and glittering pumps, a champagne cocktail in one hand and a leash leading to some exotic pet in the other. Your brows are perpetually arched as you scan the crowd for a dashing aviator or an adorably bookish professor to seduce. What scent are you wearing? Opardu, of course! Well, historically speaking, you wouldn’t be – but in the glorious art deco movie set of our minds, you are. Because Opardu is not about the past, it is about a fantasy of the past, just like our daydreams. It evokes the enchantment and glamour of a bygone era, but still feels modern. [¶] The opening is especially evocative of another time and it is pure swank – like an expensive gift from a rich suitor, conjuring up images of mirror-topped vanities and red lipstick. This develops into an opulent floral featuring luminous gardenia, heady tuberose, piercing jasmine, and velvety rose. The mix is full and lush and there is the seductive thrum of cedar wood underneath it all. You might guess that the lilac and heliotrope would be overwhelmed by all of this and just sit off to the side and whisper to each other – but they are beautifully present, adding delicacy and charm as they put the twinkle in our saucy heroine’s eye. As the scent wears on, the more ethereal elements continue to shine and the overall effect is absolutely lovely. For those who love soft florals and who want an unobtrusive perfume without enormous projection, then Opardu would be ideal. Even others who prefer greater sillage may be lucky and should try it — after all, I have very peculiar skin! For myself, in a perfect world where I had endless money, I would buy Opardu in a heartbeat — even with my sillage issues — because this is one scent where I would be perfectly happy to reapply every few hours simply to get that stunning, mesmerizing, hypnotic opening. Unfortunately, I’m not sure how practical that would be in reality, given the cost of the fragrance. Opardu is not cheap but, thankfully, Puredistance has just launched a much more affordable pricing plan. All four of the brand’s perfumes now come in a 2 oz/60 ml bottle of pure parfum extract that costs $330 or €275. Previously, a full bottle of Opardu was only available in a 3.4 oz/100 ml size that cost $590, while a small 17.5 ml/ 0.59 fl. oz sized spray (essentially, a travel-sized mini) is $198. I realise that these prices are high. But, first, let me remind you that we’re talking about pure parfum extrait at 32% — something that is almost unheard of. Second, price is a very subjective thing. Lastly, the company has done a very rare thing: it heard the whimpers about the prices for its perfumes, and made every attempt to offer a more accessible, reasonable alternative in both size and cost. My God, how rare is it for an haute-anything company — perfume, fragrance, fashion or something else — to actually listen to its consumers and offer something less expensive? I loved Opardu’s opening. I loved it with the passion of a thousand suns. I want to be wrapped up in its cocoon forever and to have its magical tendrils weave their spell around me as I sleep. It makes me feel so stunningly beautiful and delicate; and it triggered feelings of pure joy and peacefulness. I could really rave about it morning, noon and night. Whether the rest of the perfume’s development matches that initial magic is something that is up to you to decide. If you love delicate, feminine florals, then you must try this perfume. It’s really as simple as that. Disclosure: My small vial was provided courtesy of Puredistance. As always, I make it very clear to any company who sends me things, upfront, that there is no guarantee of a positive review, or even of a review at all. I also make it clear that I will always be completely honest about a perfume, as my first obligation is to my readers. The Gift Set box with its satin lining. Cost & Availability: Opardu is available in a variety of different sizes and forms on the Puredistance website and I believe shipping is free to the U.S. (and to an EU nation). You can buy a 17.5 ml travel size spray for $198 or €168. The small bottle is 60 ml/ 2 oz and costs $330, while the large bottle is 3.4 oz/ 100 ml and costs $590. However, you can also buy Opardu as part of a sample Gift Set of four Puredistance perfumes (Opardu, I, Antonia, and M) with each sample being 2 ml. The whole set costs $59 and includes free shipping. Opardu is also available from Luckyscent in all available sizes at the same price (but without free shipping), along with a 0.7 ml sample vial for $6. In the UK, Puredistance fragrances are available at Roja Dove’s Haute Parfumerie division on the 5th floor of Harrods. Elsewhere, you can use Puredistance’s Store Locator which lists retailers from Australia and New Zealand to Austria and Russia. Surrender to Chance also sells it and prices start at $3.99 for a small 1/4 of ml vial, $7.98 for a 1/2 vial and $15.96 for 1 ml. This entry was posted in All Other Perfume Houses, Florals, Perfume Review, Puredistance Fragrances and tagged Opardu, Opardu perfume review, perfume review, Puredistance, Puredistance Opardu, Puredistance Opardu Perfume Review by Kafkaesque. Bookmark the permalink. Great to see these accessible travel sets are becoming a regular feature of the more expensive houses. I think their whole bottle/pricing/sizing plan is something the expensive houses should consider. I truly think they are an amazing, amazing line that just oozes luxury, elegance, refinement and beauty. Their Puredistance M is simply magnificent (in a totally different way) and even my father who rarely pays heed to what I wear (let alone remembers it) mentions it often and frequently. Believe me, coming from him, that is really saying something. I truly hope you will try their perfumes sometime, Jordan. Especially the M which I think you’d love. This sounds exquisite! I’m glad they’ve revised their pricing, but still, the cost is really not for the faint of heart. Or the cash poor. LOL. That opening sounds stupendous. It’s a shame it doesn’t have a little more potency given the price/concentration, but it does sound glorious for what it is. I will need to try it one of these days. Sounds amazing. I must smell it! I hope you do. From what little I know of your tastes and from your blog (where I lurk), I think you would really find this beautiful. The very classique, very haute perfumery nature that evokes the very best of the old Guerlains is all here. I think you’d be utterly smitten. Sounds amazing. Since I’m not independently wealthy, however, I foresee another visit to Surrender to Chance. OM Goodness, Kafka! this sounds like it was made for me (I adore lilac notes)! From your description it sounds as though it has a vintage vibe to it. Unfortunately, like Keillee,I am not independently wealthy and I wonder if I should even sample,lest I fall in love with it. The one that I think would make you fall hook, line and sinker is the spectacular “M” from Puredistance that I reviewed while you were away in Africa. That…. words fail me. Absolutely MAGNIFICENT!!! A stunning chypre/leather amber. And a little goes a long way given the concentration of the perfume. I know the prices are enough to make one a little light-headed but that is one perfume that — with your personal perfume tastes — I would highly, highly recommend that you at least look into. My dear K… you keep lemming me. Shame on you! your experience with Opardu sound amazing and you make this perfume sound like the biggest luxury in this world. Too bad it didn’t steal my heart with its rich and pure smell. It landed in the Monday Quick Sniffs. Another perfume to add to my list for my next order to STC! This sounds divine. I have a sample of this I got in a giveaway. Must try it the minute I can smell something again (cold still lingering). Dear Kafka, I included a .25mL sample in my recent STC order and boo hoo, I got the first of 2 packages and it DID NOT include Opardu. I have to be patient. It sounds swoon-worthy and I cannot wait to try it. Your review of this beautiful perfume elevated it to beyond the stratosphere of desire. It’s my fault, Hajusuuri, as for some insane reason, I read the promotional sale as being for Opardu when it is for Antonia. On 4 different occasions, one of which was the Facebook posting by Puredistance, I read Opardu instead of Antonia. It is totally my fault and I cannot explain why it happened, though the fact that both perfumes come in a light-coloured spray does not help. In my mind’s eye, I just keep reading Opardu on every occasion! They also informed me that their sale prices *did* translate to the Luckyscent prices, only with extras and with free shipping. However, their sale prices are all in Euros and so they must be using a price less than the current Euro to Dollar conversion rates. I wish they had provided currency options for their Promotional page to make that clearer instead of just listing everything in the Euro. Or, perhaps that is again my fault since (unlike in their usual e-store), I couldn’t figure out how to get things in US dollars without using an online currency converter. “The prices of Scent of the Season are the same as the prices at Luckyscent. Thanks for your quick response to my comment. Now I will blame you if I can’t think of anything else but this while at work tomorrow. Sigh…. The perfume must really have affected you that Opardu kept firing in your brain and vision! Perhaps you actually did a great service to your readers (possibly at least one). I hope I get my tiny sample soon so I can decide. I did my taxes this weekend and discovered that I gave Uncle Sam a rather handsome interest-free loan so I have a little bit of monopoly money in my perfume kitty. Honestly, I think Opardu took over my brain for a little while. LOL. I made my mother (who is somewhat of a perfume snob) smell it, and I thought she was going to faint from joy. Endless “oooooooh”ing and “aaaaah”ing. She told me to put it on the list of perfumes that she’d be interested in ordering. (And it’s a very short list. LOL). As for decants and splitting a bottle for cost, if you’re on Facebook, the FFF group is currently doing exactly that for Opardu. If you’re not a member already, you can email me for more info. about the group at AKafkaesqueLife@gmail.com. I have never even tried to look up FFF. Unfortunately, I really don’t like to be in Facebook. Anyway, I’ll probably end up getting a bottle and will use it as swap currency. Hurry up sample, come soon, come soon…..
I’m amused by your tone of resignation in the face of that inevitable expenditure. It’s making me grin to no end. 😀 If you do end up succumbing, at least you have a variety of different pricing options! If Opardu had more sillage on me, believe me, I would the first to order a large decant myself. Damn my stupid skin! Kafka, isn’t it Opardu gorgeous? I could wear it every single day. It always feels right…so creamy and feminine. It seems it became a classic as soon as it was released. I have a review in progress. Have you tried Antonia? I would love to hear/read your impressions on it. I didn’t think you would like Opardu because it looks like something so far from your tastes. Its beauty is, of course, undeniable. I could wear it every single day for the rest of my life. As much as I love Antonia on me and M on my vSO, I just can’t make either Puredistance I or Opardu work for me. I do not dislike them, I just don’t like them enough to want to wear or get more than samples that I’ve got. I was very disappointed last year since I hoped to love Opardu (I love-love-love lilac!). I’ll try it again this year – maybe my taste has changed? But it was great to read your review for something that you liked a lot. It’s very contagious :). I have yet to review this one because I am out of step with the whole of the perfume community pretty much – I so wanted to love Opardu but it read as very laundry musk-y on me, a bit like NR for Her but with lilac. More designer-ish than luxe. It may be a skin thing or a nose thing, I don’t know, but I do feel I am on a different plane to everyone else who has fallen hard for it. Maybe I will review it sometime after one last try. Meanwhile I love PD1 and deeply admire Antonia. Dear Kafka, thanks to the mesmerizing effects of Opardu on you, I was able to get the Travel Spray of Opardu with the extras (leather holder – meh, 4 x 2mLs of the entire line – YEAH) even though it was not the promotional perfume on the Puredistance site. It is such a gorgeous, gorgeous scent. I could pretty much tell from my original measly .25mL sample that this will be a winner (for me anyway) and indeed, with a more generous spray, it’s worth every penny (or ermmm dollar). I also discovered something else — I still had faint traces of Guerlain Tonka Imperiale and the combination of Opardu AND Tonka Imperiale elevated both to stratospheric olfactory heights. Okay, so it seemed you had almost 2 hours of the gorgeous lilacs, you lucky dog, you! But if the sillage is low even on your glue-like skin, then I had no chance at all with my skin. I mourn how brief that gorgeous opening was on me, and how much of a skin scent it became later, because that opening…. THAT OPENING!!!!!!!!!!!!! But you have no idea how truly thrilled I am that it works on you and that you love it. To consider the next size up….. YAY!!! Slightly OT, I will have a small surprise for the blog’s readers on Monday, so I hope you will sing Opardu’s praises. Puredistance is doing something very wonderful…… You will see, starting at midnight my time. 🙂 I so, so wish more people knew of the fabulous quality of their scents, as they are so shamefully under-rated and unknown, imo. Opardu is the scent of the day and it is absolutely gorgeous! When I first sprayed it on, it reminded me of very expensive, luxurious, French bath soap — which is not a bad thing! But it is the dry down that I am enjoying the most. Just the most perfect skin scent ever! You have seen the movie Jules et Jim, right? This is how I imagine Catherine would smell. True, girl was crazy, but she was also a beautiful combination of delicate, strong-willed, ethereal, enigmatic, and feminine, even in drag. I don’t know! But a perfume habit can be both a very inexpensive habit and a ridiculously expensive one at the same time. You can always waltz into a shop, cover yourself with Xerjoff and just walk out. But if you start to covet that $500+ bottle, whoa golly . . .
I’m just now smelling this and it is, indeed, lovely. Have you ever smelled Caleche Soie de Parfum by Hermes? Because while I wouldn’t say it’s identical to Opardu, it’s very, very similar to my nose. And my 50ml NIB vintage bottle was only $50, so that helps. 🙂 Now having smelled Opardu, I’m a little surprised how much you tell for it because it’s quite green and soapy. Granted – not Tide soapy, but expensive, French perfume soapy. But I agree, it is beautiful! And if you haven’t tried Caleche, I’d like to send you some so you can see whether they smell similar to you at all! Now that I’ve been wearing Opardu I’m finding it has diverged from Caleche and smells better than Caleche (and I really enjoy Caleche, but in extreme moderation). But the opening for me was very close to identical! How funny that it plays so differently for us. But now, it smells really nice and different and I appreciate it more. If Zafar had been the first perfume you’d ever tried — niche or otherwise — I suspect that you’d have stopped wearing perfume for years and years…. So, is this Caleche you’re talking about here the original (albeit vintage) Caleche or a flanker called Soie something? I don’t see any Soie version mentioned on Fragrantica. If it’s the original Caleche, I truly don’t think there are any great similarities between the two fragrances, except perhaps for the soap that appeared on your skin with Opardu (and which I was thankfully spared). Plus, Caleche isn’t lilac based, from what I remember! I think Antonia may be a much closer fit in some ways with what I remember of Caleche, though granted, I’ve tried NOT to remember much about it! Apparently some people don’t find Caleche to be soapy! o__O Is that possible? It’s almost pure soap at the beginning for me (and I assume, for you based on your disdain). Maybe I need to smell Antonia again and do a compare and contrast. Now instead of working I’ll be making a Venn Diagram in my head of Antonia, Opardu, and Caleche Soie de Parfum. LOL. Glorious. Bye bye De Profundis and others in the genre. Beautiful. I have to play more to know how different amounts seem to amp the musk up and down on me (I like the musk less when it’s leading). But. Glorious.